If you loved The Handmaid's Tale based on the book by Margaret Atwood, you'll love the next adaptation of Atwood's work. Inspired by the historical true story of convicted murderer Grace Marks, Alias Grace is coming to Netflix in November. The series was written by Sarah Polley (Away from Her, Stories We Tell) and directed by fellow Canadian Mary Harron. Based on the true story of Grace Marks (Sarah Gadon) a housemaid and immigrant from Ireland who was imprisoned in 1843, perhaps wrongly, for the murder of her employer Thomas Kinnear. Grace claims to have no memory of the murder yet the facts are irrefutable. A decade after, Dr. Simon Jordan tries to help Grace recall her past. 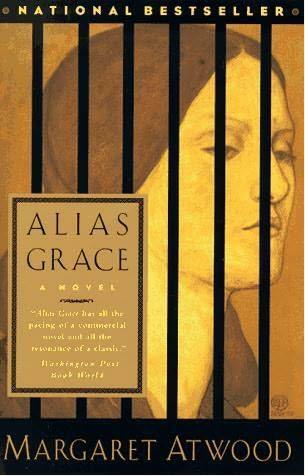 How awesome does this trailer for Alias Grace look? Have you read the book by Margaret Atwood?